Take a listen to this incredible mashup of Breathe / What A Friend I've Found and see if you're taken back to a nostalgic place of worship, too! There’s something unique about the feeling of nostalgia. It’s quite unlike any other human emotion because it’s a feeling that fuses both the old and the new in a beautiful way – a very welcome blast from the past. 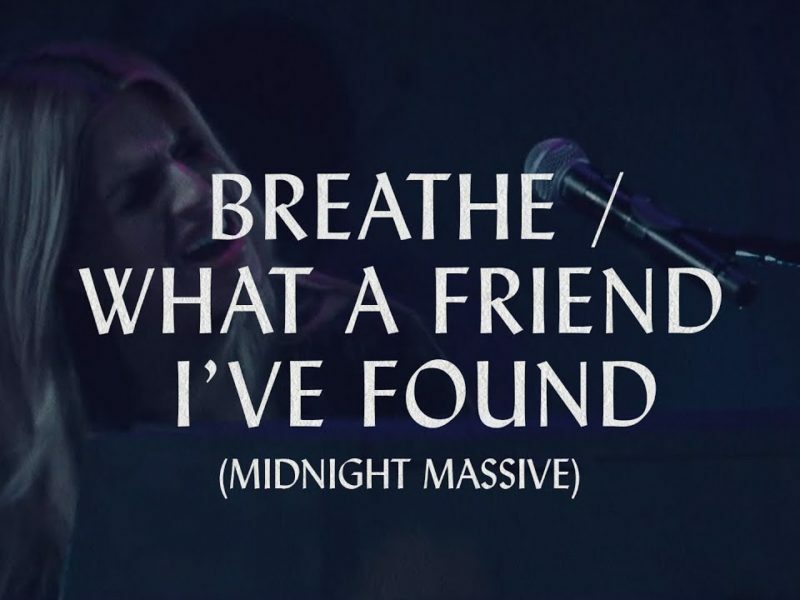 Hillsong Worship has perfectly evoked that feeling by covering two of the most well-known worship songs of the late ’90s: Breathe and What a Friend I’ve Found. Ironically, these songs were released when I was a mere toddler, but hearing them again after so long took me back to many moments of my childhood. I could never pinpoint the first time I heard these songs, but their melodies immediately bring back moments in my mind like a film reel: From being a child in a car seat, hearing my parents sing along to these songs on cassette tapes all the way to a young adult in church. These words will forever hold a special place in my heart and take me back to a specific spirit of worship that a modern song just couldn’t do. Take a listen to this incredible mashup and see if you’re taken back to a nostalgic place of worship, too!